The pair called time on their year-long romance earlier this week after Lucy furiously accused Ryan of getting close to a stunning model. It looked like there was no way back for the celeb couple, but after hours of tense, clear the air talks, they decided to give things one last shot. A source close to the stars, revealed: “They’ve met up and they’re trying to work through it. 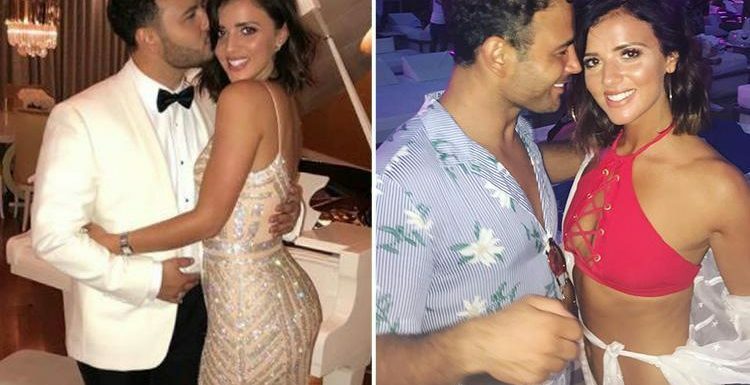 Ex-TOWIE star Lucy, 26, hit the roof after being told that Ryan, 34, had allegedly been spotted getting up close and personal with a woman on a night out in Manchester. The former Corrie actor completely denied he'd done anything wrong, but initially, Lucy was too upset to listen. Then they met up today and Ryan managed to convinced her the rumours were false and that he was desperate to give things another go. Our source explained: "Two days ago it looked like there was no way back. Lucy was furious and wouldn't listen to anything Ryan was telling her. "But at the end of the day there is a lot of feeling there and it would be such a waste to chuck it away over some idle gossip. "There's a long way to go before they'll be back to how they were, but they are going to give it another go and really work on things." The couple had just celebrated their first year together after meeting on the set of filmed Celebrity Island with Bear Grylls for Channel 4. Why Are Meghan Markle and Kate Middleton Getting Bullied So Much? Ocean's 8 review: is it fourth time lucky for the non-sequential franchise?